Amy feels all alone as she decides to confront the chief scout Akela, how will she manage? Why do adults always think they’re right? Thomas Edison, Lord Baden-Powell and Merlin the wizard all come to Amy’s aid… and maybe yours too! In an environment where the awakening of love, the imaginary, discoveries and adventures are intertwined; Amy, the heroine, challenges the authority of adults and thus gives us a lesson in courage, responsibility as well as a different view on discipline. 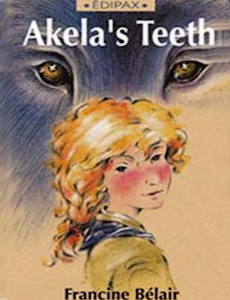 Under the title “Les dents d’Akéla”, Akela’s Teeth was chosen by Québec’s Communication Jeunesse as one of the year’s best children’s books in the province, based of such strict criterias as : superior writing, adaptation to its readers, plot and vivid story development so as to sustain children’s interest, positive values must be the basis for the text including quality illustrations that stir the children’s imagination. The final package must be a well printed and bound book representing good value for the money. This passionate novel is quickly going into a second printing. It applies Choice Theory throughout as the fundamental questions of “want”, “total behaviour” and “self-evaluation” are presented to the reader in the character’s relationships. Akela’s Teeth is already a reference for curriculum assignments, research on Choice Theory/Reality Therapy and used by the author in her university teachings. The book promotes the international organisation of Scouting. 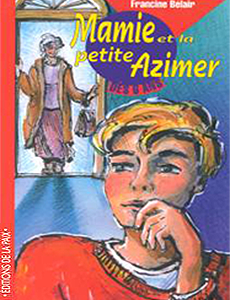 Francine Bélair is a prolific bilingual author. Graduate from McGill University in Child Psychology, she teaches Choice Theory in universities and is a Senior Faculty Member of the William Glasser Institute.